Celebrate International Women’s Weekend at Tollymore National Outdoor Centre (TNOC) from 8th to 10th of March 2019. 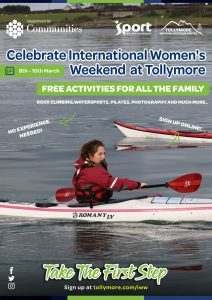 Friday night commences at 6pm with short talks from 3 inspirational women and their journeys to date. 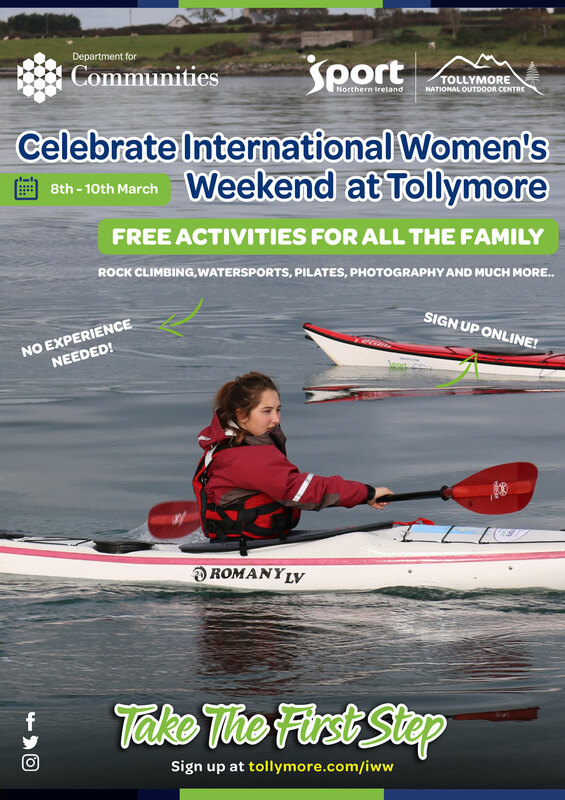 The weekend will be packed with free exciting activities for all the family including Rock Climbing, Watersports, Pilates, Photography and much more (see below). No experience needed, just come along and Take the First Step! 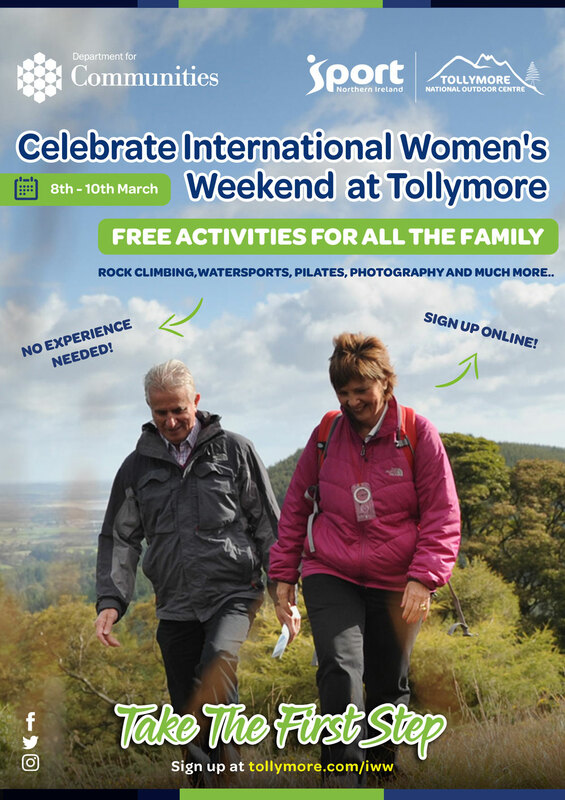 We have limited places for each activity over the weekend, so sign up is compulsory (simply click on the link below and fill out your details). Please also feel free to come along to support friends and family taking part in any of the activities. If you require lunch please let us know. Lunch will be charged at £7 for adults and £4 for children (<16). Click on an event below and fill out your details. 12.30pm Lunch Add Lunch? Pay on the day!